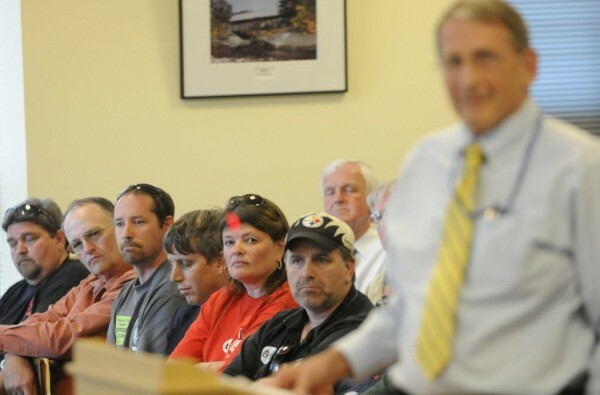 Maine union members and their labor representives listen to LD 390 lead sponsor Tom Winsor (right), R-Norway, argue for the bill during a public hearing before the Labor, Commerce, Research and Economic Development Committee in Augusta late Thursday afternoon, June 2, 2011. LD 390 lead sponsor Tom Winsor, R-Norway, (left, wearing tie) makes his way through the sizable crowd to enter the Labor, Commerce, Research and Economic Development Committee room to argue for the bill late Thursday afternoon, June 2, 2011. 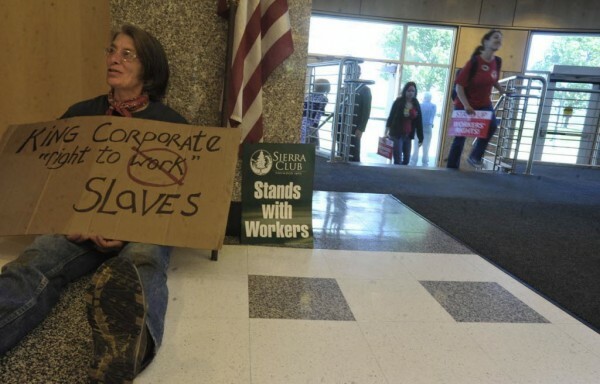 Jenny Gray of Wiscasset sat on the floor in the Cross Building as she and other union members and their labor representives waited to voice their opposition to LD 390 during a public hearing before the Labor, Commerce, Research and Economic Development Committee in Augusta late Thursday afternoon, June 2, 2011. Gray, is a bridge worker for the Maine Deptartment of Transportation. &amp;amp;amp;quot;I think it's going to be a long battle,&amp;amp;amp;quot; said Gray of the &amp;amp;amp;quot;right-to-work&amp;amp;amp;quot; proposal for public employees. Chris Whytock (right) a firefighter E.M.T. 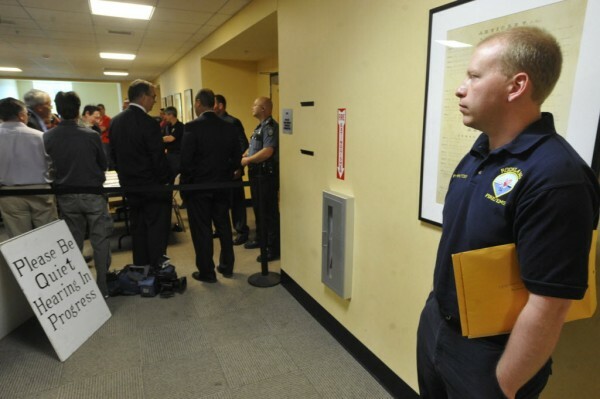 with the Rockland Fire Deptartment waits with other union members and labor representives for the Labor, Commerce, Research and Economic Development Committee's public hearing regarding LD 390 in Augusta late Thursday afternoon, June 2, 2011. &amp;amp;amp;quot;Anything that infringes on something you can bargain for becomes everyone's fight,&amp;amp;amp;quot; said Whytock. 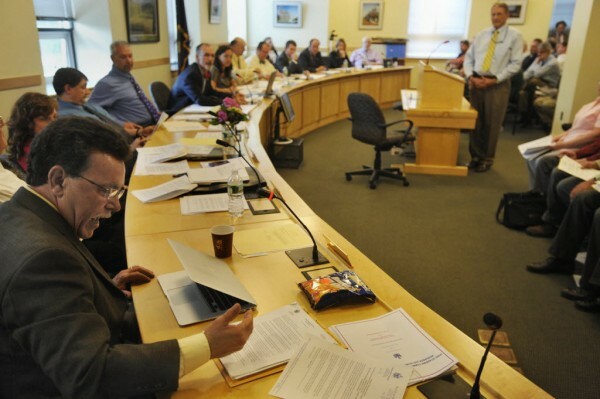 Committee member Timothy Driscoll, D-Westbrook (left) asks LD 390 lead sponsor Tom Windsor, R-Norway (standing, right) about the bill during a public hearing before the Labor, Commerce, Research and Economic Development Committee in Augusta late Thursday afternoon, June 2, 2011. Maine union members and their labor representives listen to LD 390 co-sponsor State Sen. Lois Snowe-Mello (left) support the bill during Thursday's public hearing before the Labor, Commerce, Research and Economic Development Committee in Augusta. LD 390 lead sponsor Tom Winsor, R-Norway, argued for the bill during a public hearing before the Labor, Commerce, Research and Economic Development Committee in Augusta late Thursday afternoon, June 2, 2011. 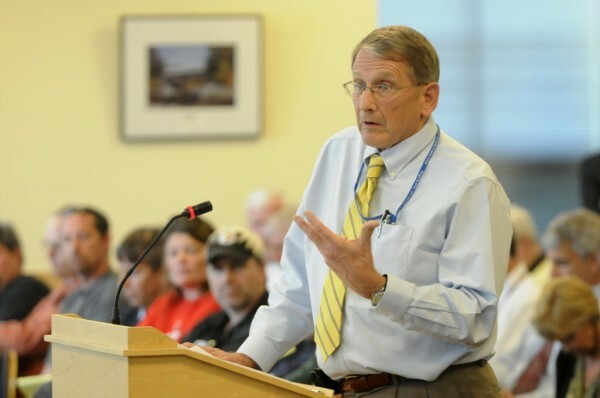 AUGUSTA, Maine — Public testimony on a bill that would alter how public employees unions collect fees from nonmembers lasted well into Thursday night as supporters and opponents argued over the contentious legislation. State employees are not forced to join a union. But if they benefit from union negotiations on contracts and in labor disputes, they must pay their “fair share,” and those “service fees” of roughly $6 a week are taken automatically from their wages. LD 309 would make payment of those service fees voluntary. About 8,000 employees are union members,and pay full dues. Another 2,780 pay only service fees — that’s roughly 26 percent of the total work force. Opponents charge that workers who benefit from union negotiations for wages, job conditions and other factors should pay fees to cover those negotiations. Proponents of the bill argue that state employees that do not pefer to belong to a union, and in some cases don’t agree with labor unions on principal, shouldn’t be forced to pay fees to support the organization. It’s an issue that has largely broken down along party lines, with strong support for the bill from Gov. Paul LePage. Republicans charge that the fair share provisions were enacted as budget amendments over the past decade, pushed through by what was the Democrat-controlled Legislature and governor’s office. Democrats questioned the circuitous route the bill has taken, showing up for public hearing late in the session. A bill that would have made similar changes in laws around unions in private sector workplaces was killed in the Legislature. 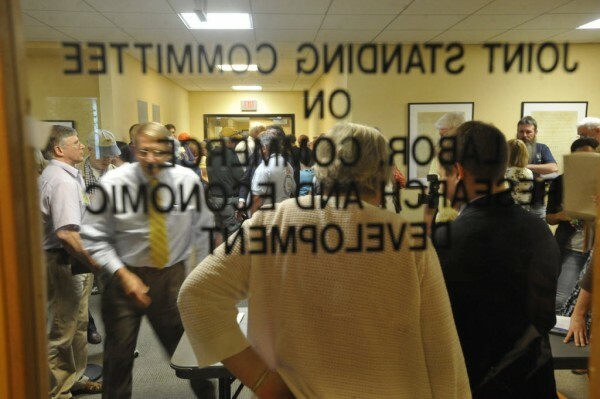 State office halls were filled Thursday night with union members seeking to testify on the bill before the Labor, Commerce, Research and Economic Development Committee. 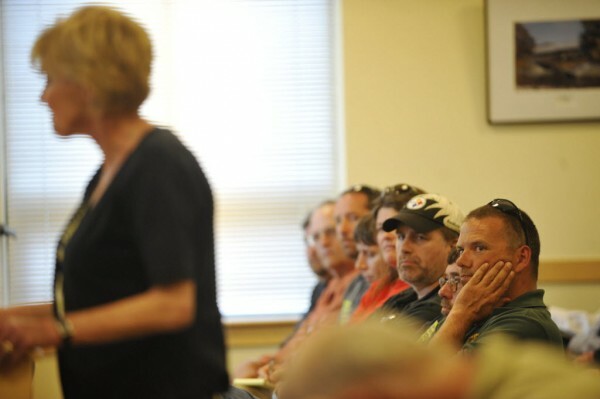 Committee leaders had a list of people wanting to testify that was four pages long, with 45 signed up to testify against the bill and 10 in support of it..
Testimony on Thursday night made clear that both sides of the issue largely came at it from basic philosophical differences. Daniel Locke, a hydrogeologist with the state, said he used to be a union member, but quit after a 2003 change in state policy that forced new state employees to pay service fees. “Since I could not reconcile the ethics of this practice, I severed my membership,” he said. Locke said he was contemplating quitting the union anyhow, because it was involved in politics. Locke argued his case in courts up to the U.S. Supreme Court, where he lost his case in 2009. Opposing the bill were union members from both public and private sector organizations. Will Towers, a correctional officer in Hallowell, said he was concerned of the impact of the bill on public safety. Unions have negotiated decent wages and working conditions, he said. Joel Pitcher, a worker at Bath Iron Works and a member of Local S6 of the International Machinists Union, said the death of the bill that would affect private sector workplaces didn’t end the concern of private sector employees. “In my opinion, there is no private sector, no public sector, there is only a working sector,” said Pitcher. He charged that the death of one bill while the other moved forward was an attempt to divide and conquer, weakening opposition to the bill. He suggested if the bill passed, it would harm workplace morale among state workers, causing divisions in the work force. And, he said, the issue of fair share should be handled in contract negotiations. “It belongs between the state and the state workers to decide if this clause will be in the contract,” he said. The hearing started late in the afternoon, and for roughly three hours, testimony came from bill sponsor Rep. Tom Winsor, R-Norway, co-sponsor Sen. Lois Snowe-Mello, R-Poland, from legislators arguing for and against the bill, and from two experts who took each side — labor attorney Jeffrey Young, who argued against the bill, and Dan Billings, LePage’s chief legal counsel. She said state workers who have talked with her about the issue would rather negotiate for their own benefits and wages and not be required to pay fees to a union. Billings, LePage’s counsel, said the governor was unhappy when the two bills seemed to stall and he met with legislative leaders. Billings, Winsor and others came up with an amendment to the bill and got it sent back to the committee. Billings said an out-of-state lawyer retained by the administration to handle contract negotiations also was consulted in drafting the amendment. “We see this as a pro-workers’ rights bill; it allows every state employee to choose and to make an assessment whether representation provided by the union is worth the fee or not,” said Billings. Billings drew a distinction between private sector workplaces and public sector ones. Workers in the public sector are represented by a union, but also by lawmakers, he said. And the profit motive that exists in the private sector isn’t in the public sector, he added. Young, the attorney speaking for the unions, noted that many who testified for the bill talked about issues of fairness. “We live in a majority rule country. It could be equally said that the 75 percent of people who have joined the union feel it is unfair the 25 percent of the people are getting the benefit of the contract without having to pay for it,” Young said. He added that other states that allow public employee unions with service fees for non-members don’t have laws like the one proposed on the books, and suggested that passing the legislation would lead to a rash of lawsuits. Testimony continued well past 9 p.m., and the committee planned to hold a work session on the bill in Monday.